Let’s talk about great gaffes. There’s a lot of small mistakes you can make when trying to build meaningful business relationships. A lot of these are probably ones you’ve made from time to time, and while they can feel a bit cringeworthy in the moment, we’re going over mistakes to avoid so you never have to feel like you burned a bridge again. Welcome to “The eCommerceFuel Podcast,” the show dedicated to helping high six and seven-figure entrepreneurs build amazing online companies and incredible lives. I’m your host and fellow ecommerce entrepreneur, Andrew Youderian. Hey, guys. It’s Andrew here, and welcome to “The eCommerceFuel Podcast.” Thanks so much for tuning in to the show. And today we’re gonna be continuing the series on building relationships, building your network. Last week, we talked about some of the skills and habits that are important to master and develop to be able to do that well, and this week I wanna talk about the things that people do very often inadvertently to completely depth charge and blow up those efforts to make great strong friendships, relationships, and build out their professional network. So, I got 14 specifically I want to talk about, and some of them are obvious, some of them are less obvious. And even if they’re obvious, they’re good to revisit because as I was going through this list, I realized that I was guilty of, you know, making some of these mistakes even in the last two or three months, and here I am talking about them. So, at a minimum, you know, you’ll be reminded of some stuff you shouldn’t do, and get to hear about some great gaffes that I made, which is always fun. Before we dive in though, I wanna thank our two incredible sponsors for the show who make it possible. First, the team over at Klaviyo who makes email marketing incredibly easy and powerful. And something cool with them, they have a brand new sign up form builder, where they’ve added a lot of new functionality to their form builder, things like extra intent triggering URL targeting, so you can have certain forms go out based on which URL they’re at, the addition of a bunch of input fields so if you wanna ask for additional information like, you know, potentially something that’s niche or what level of experience they have things like that that you can also tie in to help with your email flows to customize those even further. And of course, they help with GDPR, so, very cool they upgraded that. If you’re not using Klaviyo or you wanna check out these new features, you can get started with them for free at ecommercefuel.com/klaviyo. And then secondly, I wanna thank Liquid Web, who is the hands-down, best place to host your WooCommerce store anywhere online. They’ve got an incredibly managed hosted platform to just make your WooCommerce cart scream. And one cool thing about them, they’ve been doing this whole online hosting thing for 20 years. They own all their own data centers. They don’t outsource the stuff to AWS or Azure or anything like that. You can call them up, and they can literally walk down the hall, grab the fried hard drive, swap it out and be back, you know, within 30 minutes. That’s a guarantee. So, kind of a cool thing that they do, that they actually keep their hardware in-house. So, if you’re on Woo, or you wanna learn more about their Woo offering, WooCommerce offering, you can at ecommercefuel.com/liquidweb. Just like last episode, I wanna kick this off with a massive disclaimer at the top. I am a very imperfect, perhaps the most imperfect person, human, I know. And I have failed at all of these at some point, probably many of them recently. So, you know, if you’ve had experiences with me where you’re listening and you think, “Hey, I can think of exactly a very clear point in time when you totally did the opposite,” I apologize and own it. These are the things I just try to do, or try I guess, in this discussion, try not to do when connecting with people and building relationships. So, that being said, here’s what I aim for, or aim not to do, I guess. So, number one, the biggest mistake I think people make that depth charge their ability to build relationships is talking too much. And this is one we talked about, at least I touched on last episode, but I think it’s important enough to bring it up again. Again, my favorite rule is you should never talk about something for more than 90 seconds without being further prompted by somebody to continue talking about that. That’s a great way to gauge if they’re interested, if they wanna learn more, and it’s a great way to make sure that you’re not boring people with stuff that, you know, makes them tune out. So, you know, great connections, great relationships are built around discussions, not dialogues. So, you know, ask good questions, find common, ground take an interest in people, and try to limit your, you know, your monologues to 90 seconds to make sure that the other person’s, you know, engaged. Number two, don’t do someone a favor and then immediately ask them to do something for you. This is probably the best way to create a massive ick factor with that other person. I think about an experience recently where someone reached out, asked me, you know, offered to do something for me. It was very kind, and I said, “Oh, that’d wonderful. Thank you,” you know, and it was something that had a little benefit for them as well but it was also very beneficial for me. And then within like sec, not seconds, but within half an hour, on the same email thread of me saying, “Yeah, that would be great, wonderful,” they followed up with a very hard ask about something that I probably would not have, I would not have done otherwise. You just feel like somebody is putting you in a corner, especially if it’s a big ask. And I ended up doing it, I wasn’t super happy about it, and it impacted my relationship with this person. Even though they don’t know it, it made me kind of trust them a little bit less, and less likely to go out on a limb for them. So, don’t do someone a favor and then immediately ask for something in return. That’s just is icky. Number three, don’t put people on the spot. Try to build everything you do as an opt-in versus an opt-out. So, what do I mean by that? Let’s say you just met someone. You meet someone and you’re having a great conversation with them and you say, “Oh, hey. Well, I’d love to grab dinner this week with you. Do you wanna grab dinner on Tuesday or Wednesday?” So, in that instance they have to, if they have a busy week, or even on the off chance that maybe, you know, as kicked in as well as you think, you’ve put them in the position of saying if they don’t wanna go, of having to say no, somehow having to get out of that. And it can be an uncomfortable situation. Instead, a much better way to do it that doesn’t put them on the spot is to say, “Hey, I’ve had a great time talking. Like, if you ever wanna grab dinner, I’m around all week. Let me know, I’d love to meet up. If you don’t, no worries. I know we’re all busy, but if you ever do, you know, give me a call, here’s my number. But again, no stress.” And then and there, if it’s something that naturally they wanna do, it’s much easier for them to opt-in. And a lot of this ties into kind of that old saying of people don’t remember what you say per se, but they remember how you make them feel. And I think that’s really true. So, I had an example recently where someone, I was talking to someone and they were talking about their software product, and I said, “Oh, I’d love to do a demo for you. What time is good this week?” and I had to go through the uncomfortable situation of saying, “Hey, this isn’t a good week. I’m sorry, I’m not sure if it’s a great fit for this product.” Just when I think back to that interaction, it’s, you know, it’s much more diplomatic to let people opt-in. And had that person said, “Hey, if you’re interested in the software, happy to do a demo for me any time, just let me know.” Structure things as opt-ins versus opt-outs, and you won’t put people in uncomfortable situations. Number four, don’t ask for inappropriate or one-sided introductions. If you don’t know someone well, don’t ask them for an introduction to someone else where you’ll be soliciting one-sided help from that person. If you just met someone and they say, “Oh, I know Tim Cook at Apple,” you know, don’t say, “Oh, I would love some advice on, you know, building my own smartphone. Could you connect us?” because every non-symbiotic introduction, every introduction that is not mutually beneficial costs the person making it some amount of social capital. And so at a high level, you wanna strive for introductions that are mutually beneficial. That’s the highest level. Those are hard to do. It’s hard to make those. And if you’re in a situation like that, ask if you can, you know, hire that someone, because, you know…So, maybe for example, you can say, “Oh hey, that’s great. Tim…” Tim Cook’s a horrible example, because I mean, granted, you’re not gonna hire him to do consulting, but you get the idea. You could say a much better way to ask that, that would not put the person in a difficult situation, would be, “Hey, Tim. So, don’t ask for inappropriate or one-sided introductions. They really can hurt a relationship. 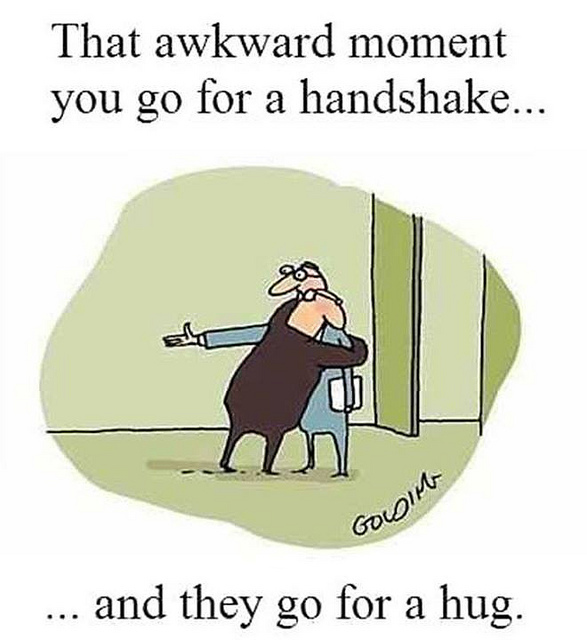 And, you know, at some point it’s like we have all asked for one-sided introductions. Sometimes you do, do that. But you have to, I feel you have to earn the right to do that. You have to build a level of rapport with somebody. You have to help them build a deep relationship. Because I’ve made one-sided intros for people all the time, but they’re people who I know and trust, and I know that, you know, if I had something where, you know, they’d be willing to make a one-sided intro for me too. Just be aware that when you ask for introductions, you are asking for someone to expend some social capital on, you know, on your behalf, unless you really can help that other person too. Number five, unless it’s critical that you build credibility, don’t tout your own accomplishments. I mean, we all have been in a circle of four or five people when someone walks in and they spend, you know, five minutes talking about all the amazing incredible things they’ve done, and, you know, their two million dollar house in the Bahamas. And it’s not…people, it’s a turnoff. Usually, it’s a sign of insecurity, and you come off as obnoxious. And there are a few exceptions here where I think, you know, mentioning what you’ve done in a very tactful way to build credibility is important. If you’re giving a big talk about Facebook ads, you know, it’s appropriate to say, “You know, I’ve spent $10 million over the last three years building Facebook ads,” because you’re building credibility about that. Or if you’re trying to land an interview with someone and you’re doing cold outreach, touting a, not touting, but mentioning a few of your applicable accomplishments upfront, that’s okay. But out of the box in a, you know, just an open environment with random people, don’t go off spouting things off. It’s gonna do more harm than it does benefit. Number six, don’t ask people you don’t know well if you can pick their brain. If it’s your sister, if it’s your best friend, someone whose wedding you were in, a guy you just spent four hours helping to build his fence in the neighborhood, okay, you can ask them for something. Otherwise, don’t do it, because what it means, oftentimes, is you’re not valuing their time and you almost certainly you don’t have, or at least you’re signaling, you don’t have a clear agenda for this. Better way, so how can you better do this if you wanna try to learn from somebody? Ask if you can hire them for a certain number of hours. And this is less about the money, and it’s more about signaling to them you respect their time and you’re willing to pay for it. Ask them and say, “Hey, I’d like advice on X, Y and Z. What resources could you recommend on this?” That does a couple of things. And almost everybody will likely reach out to you that will see you actually followed up on advice they gave, will be happy to talk about it a lot of times at no charge at all, because they see that you’re, you know, that you’re following up, which a lot of people don’t do. So, number six, don’t ask people you don’t know if you can pick their brains. Try to use those tactics instead. Number seven, don’t make introductions that you haven’t cleared with both parties. We kinda talked about this, alluded to it on the other side earlier, asking for introductions. But the respectful thing to do, any time you make an intro, even if it’s an intro that is mutually beneficial, you are speaking for someone’s time, because either they…if they turn down the intro, it reflects poorly on you for making it and they feel bad, and if they take it, you know, it’s a commitment of time for them for, you know, anywhere from five to 10 minutes, and maybe an hour for a call. So, you can put it on their radar, but you’re not committed in making the introduction. So, double opt-in intros are, I think, really important. Number eight, don’t judge people by the way that they look. I do this all the time. I mean, it’s much worse if you judge people and write them off, you shouldn’t write off anybody, but it’s much worse if you judge people and exclude them or write them off. That’s terrible. Because I know people that dress to the nines and are broke, and I know people that, you know, wear clothes from Kmart’s and Wal-Mart or Salvation Army, and could write a check for a million dollars. So, don’t judge people. I can’t tell you the number of times I’ve met someone, you know, maybe didn’t connect with them deeply, found out later they were running a $10 million business and I was like, “What, so and so? I would not have suspected that.” You can’t tell a lot of times, what people are like based on just, you know, meeting them for the first time, so don’t make assumptions. Number nine, don’t hide your business idea like it’s the cure to cancer and somebody’s gonna steal it from you. If you’re in a room with interesting people, you’re talking to somebody who has any kind of entrepreneurial experience, or just is an interesting person, and they ask you what you do and you get all cagey and say, “Well, I’m kind of in the space. I really don’t like talking about the idea,” or one of my favorites, “I mean, if you wanna sign an NDA, I’ll tell you what I’m doing,” you are gonna look ridiculous. If you legitimately have the cure to cancer okay, maybe that is one exception. But for most people I know, you’ll lose credibility. Because it’s not about the idea, there’s people doing almost certainly what you’re doing. It’s about the execution of what you’re doing. You don’t have to share your supplier list. You don’t have to be super coy. But if you go into a group of people and you’re not willing to talk with them, at least at a high level about what you’re doing, you probably shouldn’t be there at a minimum. And you’re likely gonna just lose face with people. So, don’t hide your business idea. You need to be willing to talk about this, at least at a high level. Number 10, don’t rush into things. This is something I was guilty about recently. I had a call with someone who was growing a business, and in the midst of the call, their metrics were off the chart. They had a really interesting brand, amazing conversion rates. I saw three or four ways we could instantly add value and drive a lot of traffic. And I could immediately tell I was so eager at the opportunity, I jumped in too early before I’d built up trust, a track record, rapport. Not that, you know, that person would have been interested otherwise, but I definitely bombed the opportunity trying to go too deep too quickly, because of my eagerness. So, you know, fight the excitement of what could be. Yes, opportunities are really interesting. You can see them, but usually, err on the side of developing more trust, more track record, more rapport, before you ask for things like that. Mistake I made recently, and wish I hadn’t. Number 11, don’t send…and this is kind of a personal one. If I had to rank the ones in importance on this, this is probably lower down but it’s one that for me is, and maybe just a personal thing, but don’t send text messages about business stuff to people unless you’re already pretty good friends. For me, texting is kind of like a personal medium. Like, it’s something I will check at night sometimes, you know, but if I’m doing business, and if I get a text from somebody about a business issue, especially if it’s early in the morning or late at night, like, I don’t like that. Email or voicemail or Twitter is much better. And also, those are the channels I use to interact with like stuff on my calendar, for, you know, dealing in my business mode. So, you know, if you wanna ask someone or someone asks you to text them about business stuff, great, otherwise, I would really try to refer to some of those other mediums. Number 12, don’t pitch people. People do this a lot of times, and it’s almost never productive. If people are interested in what you’re selling, they’ll ask. It’s okay to be, like if someone asks you what you do, to tell them if it’s applicable. Or even of somebody, you know, even if somebody is doing something kind of in the same vein as a service or product that you have, it’s okay to mention like, “Oh, hey. We do something with this and this, and we found X and Y,” to allude to what you’re doing. But don’t pitch people. Don’t put them on the spot and give them a hard pitch. Hard pitches almost never work, especially if they’re unsolicited. You’re just gonna make people uncomfortable. If people are interested, if it’s a good fit, they’ll ask. Take it from there. Number 13, don’t interrupt people. And this can be a tricky one too, especially in settings like at conferences or where you’re around a lot of people. But really, try your best not to interrupt people. If you see two people talking and you really need to talk to somebody, walk up and wait. If they have any self-awareness, you know, when a good junction in the conversation comes up, they’ll say, you know, “Hey, what’s up?” or you can jump in when there’s kind of a lull in the conversation. If you really need to talk to someone and they’re not getting the hint, you’ve been there for a minute or two, kind of gently touch them on the shoulder and wait. But yeah, don’t walk up and just totally railroad people in a discussion. That never looks great on you. And if someone in a group is talking ad nauseum and they’re just totally jamming all the bandwidth of the conversation for a group, just leave. I mean that’s kind of their fault. They’ve been talking for 10 minutes straight. Just change your setting, that’s what I’d recommend. And then the last one, number 14, don’t take as many calls and meetings and appointments. Take better ones. And this is something that I think is, it can be hard to say, “Sorry, this isn’t a good time,” but if you’re more careful with the people you do connect with, you’ll prep more, you’ll probably pick people that you have more in common with, that you can help more and that they can help you more. You won’t be doing just the icky networking thing for the sake of networking, like 500 connections plus on LinkedIn. That is not something to strive for. You wanna connect with the right people. So, focus on fewer but deeper relationships. And try to really be a little more careful about the meetings, calls and appointments you do take, and make them better ones. Weigh In With Your Thoughts! So, those are my thoughts. I’m sure I missed some. And again, like I said at the top, I’m sure there are some, as I alluded to, you know, that I’ve made mistakes on. But I think these are things if you try not to do them, they’re just gonna go a long way for building stronger relationships and for not alienating people in ways that you might not intend. So, I would love to hear what you think, ecommercefuel.com/podcast. It’d be really interesting to hear if you think I’m off base on some of these. If you have additional ones, I’d love to hear because there’s a lot I can learn a tremendous amount here, just like anyone else. So, I’d love to hear your thoughts too, yeah, but hopefully, they’re helpful. That’s gonna do it for this week’s episode, but if you enjoyed what you heard, check us out at ecommercefuel.com, where you’ll find the private vetted community for online store owners. And what makes us different from other online communities or forum is that we heavily vet everyone who joins to make sure that they have meaningful experience to contribute to the broader conversation. 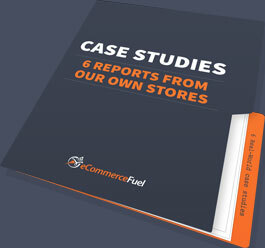 And so, if that sounds interesting to you, if you wanna get, you know, connected with a group of experienced store owners online, check us out at ecommercefuel.com, where you can learn more about membership as well as apply. And finally, Liquid Web. If you’re on WooCommerce, if you’re thinking about getting on WooCommerce, Liquid Web is the absolute best hosting platform, for three reasons. One, it’s built from the ground up for WooCommerce and optimized by some of the best industry professionals in the WooCommerce WordPress space that really know their stuff. And it’s highly elastic and scalable, as well as comes with a whole suite of tools and performance tests to optimize your store. Thanks so much for listening. I really appreciate you tuning in, and looking forward to talking to you again next Friday.